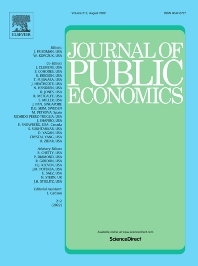 The aim of the Journal of Public Economics is to encourage original scientific contributions on the problems of public economics, with particular emphasis on the application of modern economic theory and methods of quantitative analysis. It provides a forum for discussion of public policy of interest to an international readership. A master index encompassing volumes 1-50 is available from the publisher upon request.